The 44th U.S. President, Barack Obama, has fulfilled the dream of “inclusiveness” for American society by moving contemporary society closer towards universal equality for all. 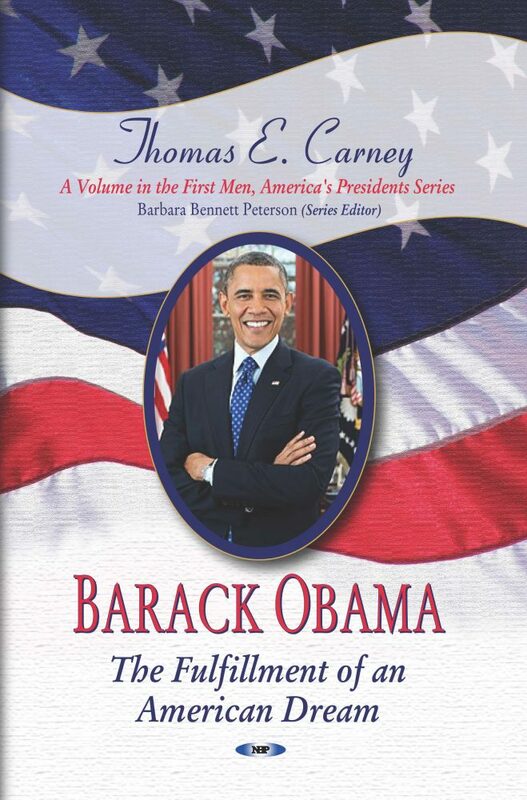 Dr. Thomas E. Carney has written a powerful and incisive volume on the life and policies of Obama from his birth in Hawaii in 1961, through his diverse roots in Hawaii and Indonesia, to his education in Jakarta (St. Francis of Assisi) and Honolulu (Punahou), Occidental and Columbia Universities, to his presidency of the prestigious Harvard Law Review in 1990. The challenges Barack Obama faced are traced from his graduation from Harvard Law School in 1991, his first jobs with Business International Corporation and the New York Public Interest Research Group, through his internship with the Chicago law firm of Sidley & Austin where he met future wife Michelle who was his appointed mentor, to his own law position with Davis, Miner, Barnhill & Galland. Obama also worked as a community organizer early in his career seeking justice in voting rights, tenant rights, employment rights, and anti-trust suits. He worked on the Illinois Vote Project in 1992 and became a lecturer at the University of Chicago’s Law School where he taught Constitutional Law. This excellent biography follows Barack Obama through his election from the 13th district to the Illinois State Senate in 1996, his successful campaign to win a U.S. Senate seat from Illinois in 2004, and the winning of the presidency in 2008. Along the way, Dr. Carney introduced important influences upon the future president such as his Indonesian step father Lolo Soetoro, his brother-in-law Craig Robinson, Barack’s wife Michelle and their daughters. This book describes Obama’s maternal grandparents in Hawaii who helped raise him, and the guidance and memories of his bi-racial parents Barack Obama Sr. (born in Kenya) and his mother Stanley Ann Dunham (born in Kansas) and how they met and married in Hawaii.